When I work directly with an orphanage I will spend every last dollar I have to buy the kids food, medicine, toys, and whatever else may be needed. You are more than welcome to contribute to this cause. This mission I will be assisting a devastated orphanage in Shchastia in the embattled province of Luhansk. The children have nothing so my work is cut out for me. If you wish to donate so that I can provide more to the children just send funds to our Paypal account: the.fishermen.international@gmail.com. I thank you in advance of your support for these children and my mission to assist them. 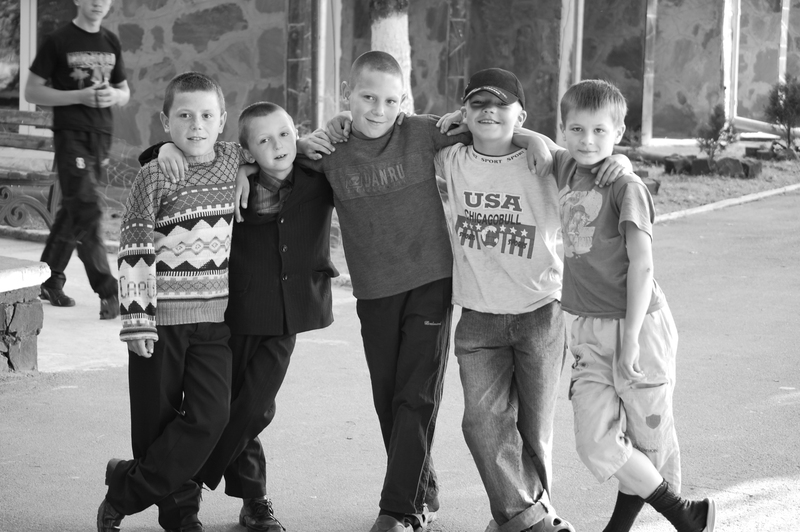 Photo: refugee orphaned children from the Donetsk region. There has been a change in the construct of our mission to Ukraine. As you know, The Fishermen was created to address the needs of orphaned children and refugees in areas less traveled. Such an orphanage was brought to our attention a few days ago. It is in extremely poor condition and the children are without basic necessities. Such a call cannot be ignored as it falls perfectly within our mission parameters. We will be traveling to assist this orphanage on Saturday and will return on the 9th. The area in which it is located, Shchastya, is still under heavy fire. I will ascertain their requirements, provide medical aid if needed, and return with information about how we can provide further assistance. 1) Implement my landmine/IED/ERW-awareness book for use in schools in the east. 2) Assist orphanages in need by providing basic medical care and assessing humanitarian aid requirements. 3) Interview Ukrainian institutions such as hospitals, medic stations, refugee camps, etc, so that the people of NC are aware of the conditions and what to donate. The duration of my mission will be between 1 and 1 1/2 weeks depending upon military activities and transportation issues. The decision to move my Standing Rock mission did not come easily. I agonized for over a month before my conclusion. I need to be well-rested and highly-focused to remain safe and effective in Ukraine and would be too weary after a week-long drive to North Dakota. Additionally, my book will have an immediate affect on saving lives and this must be considered. My sincerest apologies to the people of Standing Rock – you are my family. I will arrive on the reservation immediately after my return. Photo: orphaned boy evacuated from Donetsk last year.